Barry Moat | NUFC Blog. Archive for tag: Barry Moat. Barry Moat has not given up on buying the club. 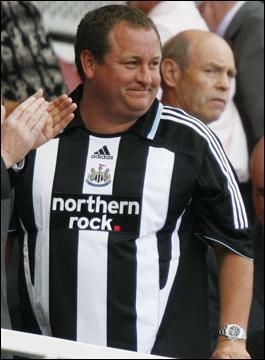 Barry Moat still thinks there’s a chance of him buying Newcastle United in the future. Apparently, whilst Moat has no immediate plans to launch another bid, he will continue to think about how he might wrest the club for Ashley in the future. “For one reason or another it didn’t come to pass. “It’s extremely disappointing. It’s something we’d given up a lot of time and effort and abortive costs with so I’ve been feeling pretty bruised by the whole process. “As my wife keeps telling me, ‘No one’s died’ so you’ve got to get on. That’s fundamentally where I see it now. “I think from my perspective I don’t think Mike Ashley wants to stay at St James’ Park for the long term, so I’ll never give up. Having so far failed in his efforts to raise the funds to tempt Mike Ashley into selling Newcastle United to him, Barry Moat has now gone on record to suggest that the famous St James’ Park name wouldn’t necessarily have been safe in his hands either. It appears he can see exactly what Ashley is doing and why he’s doing it, and it could have been part of his business strategy had he been in the position. “I think you have to explore things like naming rights, you have to do that. “Unfortunately we live in a world where football is big business, and the gap between the Championship and the Premier League is getting bigger all the time. “So you have to do things to close that gap. We need to get back up to the Premier League as quickly as possible. 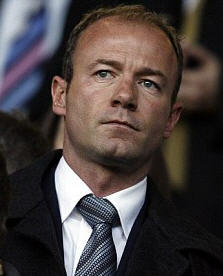 Shearer actively seeking manager’s job elsewhere. According to the Mirror, Newcastle United legend Alan Shearer is available to manage other clubs with immediate effect. Shearer was of course pointedly ignored for the Toon job despite his 8-week temporary appointment being called “the best decision I ever made” by Ashley. Even then though, Shearer was still in with a chance as it was widely believed that Barry Moat favoured him as manager if he had succeeded in buying the club. 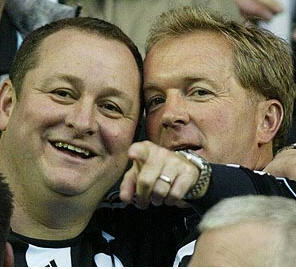 However, just as Moat was nearing some sort of deal to buy Newcastle United, Ashley pulled the club off the market, appointed Chris Hughton as manager until the end of the 2011 season and that was the end of Shearer’s chances of managing the club for the immediate future. Finally an end to the Toon takeover farce. NEWCASTLE United are delighted to announce that Chris Hughton has been named the permanent manager of the Club, his contract will run until the end of the 2010/11 season. At the same time the Club has confirmed that it has been withdrawn from sale and is no longer on the market. The Club had been trying to broker a deal with a number of prospective buyers in recent months however none of those deals came to fruition. With regard to the possible sale of the Club to Barry Moat, that particular bid has now fallen through due to the cash price of £80m not being met. In confirming the news, Mike Ashley stated that he is totally committed to the future success of Newcastle United and will be focussing on gaining promotion back to the Premier League. Mike will put a further £20m into the Club this week. Ashley reneges on terms he promised Moat. 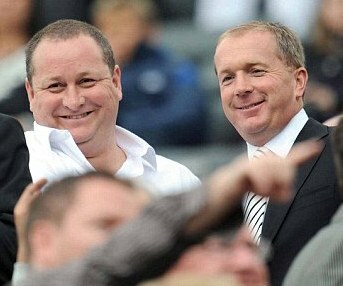 According to an article posted on The Telegraph’s site late last night, Mike Ashley has turned down Barry Moat’s latest £80m bid for Newcastle United even though he’d previously said he’d accept the bid on the terms specified. What the article says is that whilst Ashley had previously rejected Moat’s offer to take £40m down and £40m at the end of the season, the pair had reached agreement earlier last week for a deal involving £60m down and £20m at the end of the season. However when Barry Moat made such an offer on Friday, Ashley – after considering it for a few days – rejected the offer anyway, insisting he now wants the whole £80m up-front. The Telegraph speculates that Ashley is playing hardball with Moat to give any other bidders a chance to show their hand.